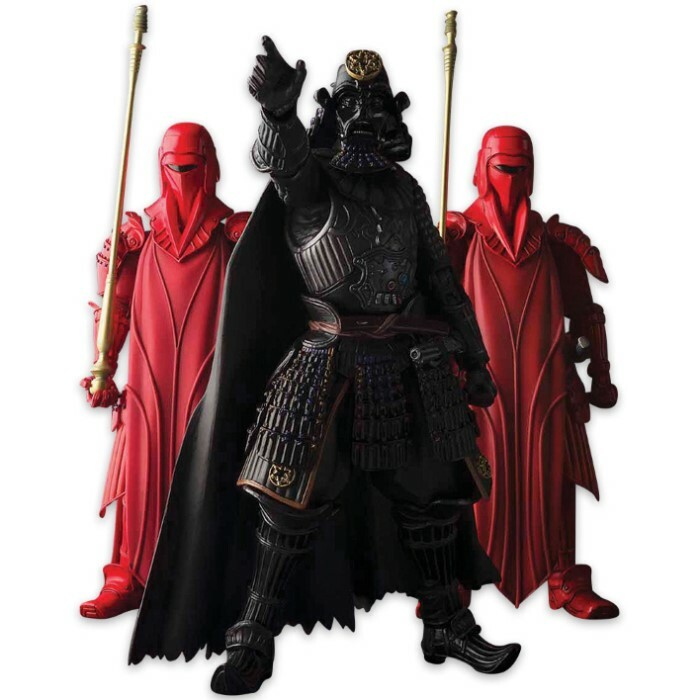 The imposing crimson-robed Akazonae Royal Guards are next to join the Samurai General’s side in this high-quality Japanese feudal take on the Star Wars legacy. 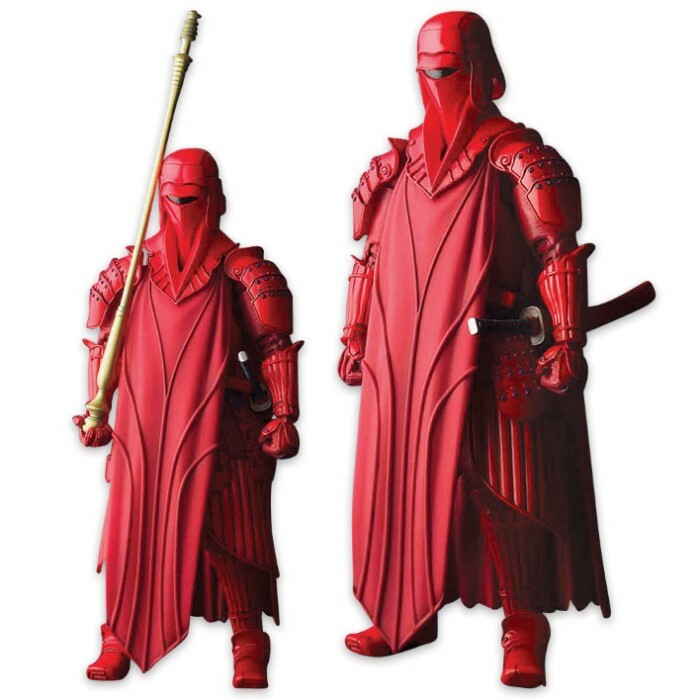 The Akazonae Royal Guard comes wielding not only the iconic force pike-esque staff, but a traditional Japanese-style katana, as well. The front robe pieces are removable, giving you the option of displaying the guard in a Samurai armor fashion. 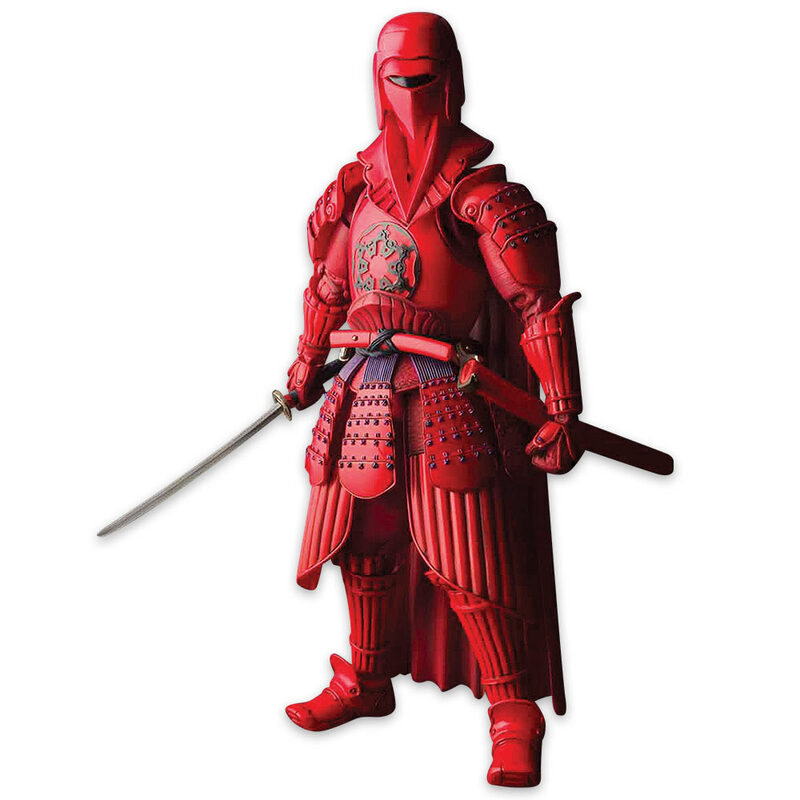 For further nuanced posing, the Akazonae Royal Guard set also includes interchangeable hands. The unique use of “wa”, Japanese style, makes for a one of a kind sculpt design that you cannot find anywhere else.